The Academy being synonymous with ‘Virender Sehwag’ boasts of an ICC standard, world-class cricket ground. The campus also has a combination of Outdoor and Indoor practice pitches with different playing surfaces. Apart from the marbled and grass pitch nets, the regular 7 acre lush green cricket ground itself has 18 pitches. Customized cricket practice permits children to visualize a career in sports tomorrow. The Academy being synonymous of ‘Virendar Sehwag’ boasts of an ICC standard, world-class cricket ground. The campus also has a combination of Outdoor and Indoor Practice Pitches with different playing surfaces. Apart from marbled and grass pitch nets, the regular 7 acre lush green cricket ground itself has 6 pitches. A pitch vision system (computerized) in the indoor net is the icing on the cake. Grass pitches are marbled and cement pitches to enhance the bowling and batting skills of the trainees. Trained and expert coaches for bowling, batting and fielding and fitness training monitor the progress of the trainee. Pavilion with two dressing room of international standard is available to students during games time. SIS is equipped with Three (3) Lawn Tennis courts of international standards, and provides adequate exposure to all possible playing surfaces (Grass, Clay and Synthetic). 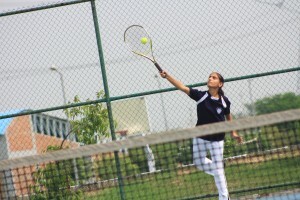 We believe that every lawn tennis trainee has the freedom to choose his / her court according to his / her ability and also must get a chance to experience playing on each surface not losing hope for a grand slam. With a Semi-Olympic size, all weather indoor swimming pools with a toddler pool adjacent, SIS offers year round swimming coaching to its students. Apart from being a competitive sport, swimming is a life saving activity and is compulsory for every student in the campus. The Indoor Sports Complex houses two International standard badminton courts for trainees to hone their skills. 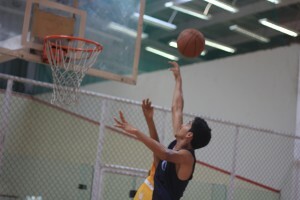 The Academy has an international standard indoor as well as outdoor basketball court. 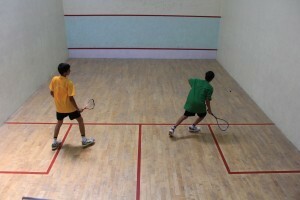 There are two regular Squash Courts in the Indoor Sports Complex is worth mentioning. The school has an international size football ground that has the facility to enable training in the basics of football by professional coaches. 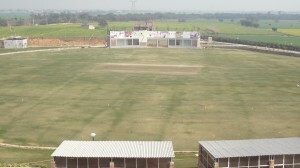 The hockey ground has a flat grass turf that ensures skill training at the utmost. 8 lane 400 meters athletic track surrounds the football field for the athletes. Multi-purpose sports hall with facilities for table tennis/snooker/billiards and an indoor gym is the stronghold of the sports campus. The multipurpose hall houses the facility for Table Tennis.A highly experienced and passionate player is in charge of the training in this game.